Wine always makes a lovely gift! 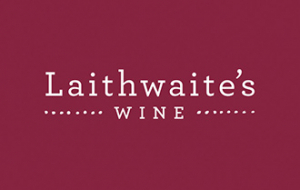 And who better to choose from than Laithwaite's, the UK's no.1 home delivery wine merchant. Ever since founder Tony Laithwaite drove a van to Bordeaux in 1969, this family-owned firm have been going direct to find those delicious gems you won't find on the big retailers' shelves. Over nearly 50 years, they've built up an award-winning range of 1,400 different wines, beers, spirits and Champagne. Every bottle comes with a 100% money back guarantee – and their customer service is second to none, with higher scores than any other wine merchant, even beating Amazon and John Lewis too. Go to Laithwaites.co.uk Select the wine you wish to purchase and add it to your basket. Go to "View basket and checkout" Select "Add voucher code" Enter the Pin code and select "Add". Your balance will be reduced by the value of the code. Pay the remaining balance with another bank card or via paypal. Print the code. Visit the store and select your wine. Go to the till and tell the cashier that you have a Laithwaites code to spend. Give them the print out and they will check the code and deduct from your balance. You can pay the remaining balance with another payment method. Or simply present the code on your mobile phone. Quote your gift card code over the phone.